Amnesia Feminised by Bulk Seeds is a high performance medicinal marijuana strain that induces a strong mellow high that is instantly distinguishable. In recent years, there has been a significant amount of ground-breaking research that has brought to light the many medicinal benefits of marijuana. This has resulted in more people than ever before using cannabis seeds to treat and manage a wide range of common ailments. And these medicinal marijuana seeds will not disappoint when it comes to quality, performance or effectiveness. 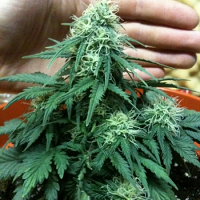 Where can I buy medical marijuana seeds online? At Sensible Seeds, we supply over 3000 different cannabis strains including Amnesia Feminised by Bulk Seeds. Our friendly and helpful team is always on hand to answer any of your questions about our weed seed banks – get in touch!